Hair Coloring During Pregnancy – Is It Safe? Hair Color During Pregnancy – Is It Safe? When you get pregnant, everything changes (obvi-duh!). Your favorite pair of skinny jeans is banished to the back of your closet, even a whiff of your favorite food makes you want to throw up, and there’s a copy of ‘What To Expect When You’re Expecting’ on your bedside table. You may have to give up your favorite clothes, food, and nighttime reading choices (at least temporarily) when you get pregnant. But there’s one thing that doesn’t necessarily need to change. And that’s your hair. You can still rock any hairstyle and hair color you want without it being dictated by your pregnancy. But a big question that looms in every expectant mother’s mind when faced with any chemical product is whether it’s safe to use and if it could harm your baby. So I’m here to answer the big question – is hair coloring during pregnancy safe? When it comes to providing information about the risks of exposure to any substances during pregnancy, the Organization of Teratology Information Services (OTIS) is the most trusted source. And according to OTIS, it’s safe to color your hair during pregnancy because of three main reasons. Firstly, little to no amount of hair dye can actually be absorbed by your scalp and enter your bloodstream, much less enough to reach your fetus. Secondly, pregnant animals that were exposed to hair dye showed no signs of reproductive damage. And lastly, there have been no reports that claim that pregnant women or their fetuses were affected by her coloring her hair. 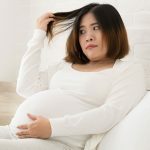 Wait until the second trimester: Here’s an interesting fact about pregnancy – all the hormones that are racing through your body will make your hair grow faster. So you might feel the urge to touch up your roots within weeks of getting pregnant. But hold your horses right there! The first trimester of pregnancy is a crucial time for the baby’s development. The first 12 weeks are when the baby’s major organ development takes place and their muscles, nail beds and hair follicles begin to take shape. Though your scalp absorbs a negligible amount of chemicals from the hair dye, it’s best to be safe and avoid taking any chances. Avoid single process color: Root touch ups and a complete color change from roots to tips are referred to as single process color. In these types of color jobs, the hair dye comes in close contact with your scalp. So it’s best to steer clear of them and opt for services where the color is applied only onto your hair shafts. These include highlights, lowlights, ombre, streaks, and the like. Now, my lovely mothers-to-be, you don’t need to limit your hair coloring options just because you’re worried about the chemicals in hair dyes harming your baby. There are a few alternative natural hair coloring options that you can try out without fretting! You can find most of these items in your kitchen or at a grocery store and their color payoff is simply stunning. Let’s take a look at them, shall we? 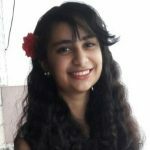 Henna: Who doesn’t know about the amazing natural coloring agent that is henna? 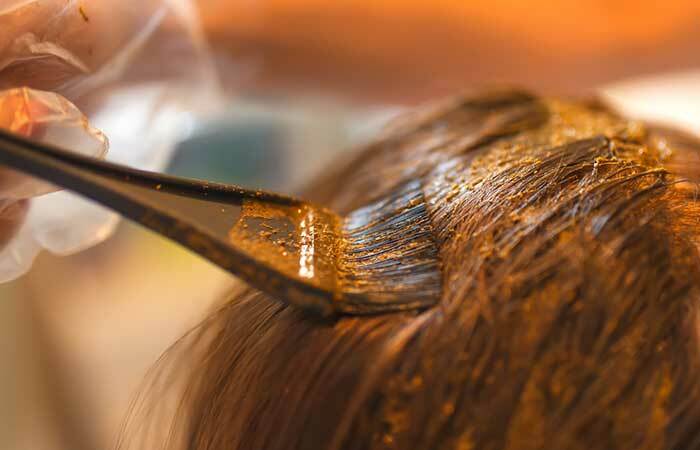 Henna powder mixed with tea decoction or lemon juice lends your hair a gorgeous red-orange or auburn shade that you will absolutely fall in love with. Tea: Concentrated tea decoction can help darken your hair and cover grays. Chamomile tea, on the other hand, has a bleaching effect and can lighten your hair if you sit in the sun after applying it. Coffee: If you want to darken your mane or add some depth and dimension to it, coffee is the way to go. A mixture of a strong cup of espresso coffee, leave-in conditioner, and coffee grounds works wonders in adding a dark shade to your hair. Beet Juice: Applying beet juice to your hair gives it that subtle red tint that comes to life when you step out into the sun. If you want a more orange hue, you can try out carrot juice. You can also customize your hair by mixing both the juices together. Lemon Juice: A few highlights placed tastefully throughout your tresses can go a long way in transforming your hair look. And the easiest way to go about it naturally is with lemon juice. Just apply freshly squeezed lemon juice on thin sections of hair and leave it on for several hours to lighten your hair and create highlights. You can get even better results by sitting out in the sun for some time after applying the lemon juice. Do a strand test before applying any hair dye as hormonal changes can alter the way your hair reacts to color. So, it’s best to try it out on a small section of hair to prevent ending up with an unsatisfactory shade. Follow the instructions give on the box carefully. Always wear gloves when applying the dye to your hair. Sit in a well-ventilated area when coloring your hair as breathing in the chemicals when sitting in closed quarters can be dangerous. Rinse off the color thoroughly from your hair until the water runs completely clear. Do not eat or drink anything when coloring your hair to prevent ingesting any of the hair dye. Hair dyes that don’t contain ammonia or peroxide are considered to be pregnancy-safe hair dyes. So, opt for brands that are ammonia- and peroxide-free as much as you can. Products like L’Oreal Paris INOA, Clairol Natural Instincts, Matrix and Organic Color Systems are considered to be pregnancy-safe hair dye brands. Phew! Aren’t you glad that all your pressing questions about coloring your hair during pregnancy have finally been answered? So, comment below to let us know if you have any more suggestions in this regard for all the expectant mothers out there! Is it safe to put chemicals in your hair when pregnant? It’s safe to put chemicals like hair dyes in your hair when you’re pregnant as they are non-toxic and as long as you’re doing so in a well-ventilated room. What are some hair color brands that are safe to use during pregnancy? Any hair color that does not contain ammonia and peroxide is safe to use during pregnancy. Some of these include L’Oreal Paris’ INOA range of colors and Clairol’s Natural Instincts range. Is It Safe To Drink Earl Grey Tea During Pregnancy? Is It Safe To Have Jaggery During Pregnancy? Are you tired of trying product after product to bring life to your tresses? This article is for all the expecting mothers out there, and also, for the ones who are thinking of embarking on the journey of motherhood. We all are aware that pregnancy is known to be one of the most overwhelming periods in a woman’s life.